1. Buying a hybrid, a car that runs on alternative power, or a lean-burn diesel vehicle can net you a tax break of $250-$3,400. This refund is dependent on the amount of gas saved by the engine and the overall weight of the vehicle. If you buy two hybrids, you get two tax breaks. 2. People who buy and install energy-efficient windows, insulation, roofs, doors, air conditioners and central-heating units can receive a $500 tax credit. 3. If you have a swimming pool or hot tub heated by solar power, you can recoup thirty percent of your expenditures, unless it exceeds $2,000. In those cases, you would just get a refund of 2k. 4. You can recoup 10% or $200 from a green exterior window or skylight installation as long as they meet IECC standards. 5. Replacing exterior doors with eco-friendly ones will net you 10% or $500 dollars back. 6. With a metal, Energy-Star roof you can reclaim 10% or $500. 7. Certain types of insulation will allow you to recoup 10% or $500. 8. 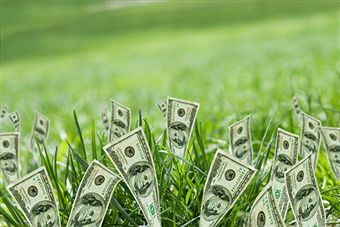 Greening up your central air-conditioning unit, utilizing geothermal heat pumps, installing air source heat pumps, putting in a gas, oil or propane water heater or an electric heat pump water heater will entitle you to garner a $300 dollar tax credit for each qualifying improvement. 9. A gas, oil, propane furnace or hot water boiler installed in your home will make you eligible for a $150 tax credit. 10. An advanced main air circulating fan allows you to claim a $50 refund. Every state has its own tax breaks. Make sure to utilize those as well. If you plan to go green, check the tax code first. Sump-Pumps ~ Are They Necessary? Spring time means melting snow, heavy rain and whatever else Mother Nature decides to throw our way. Weather patterns have changed dramatically over the years, which leads homeowners never knowing what to expect. Flooding is damaging and once it begins, there is little you can do to hold it back. Even if your basement isn't prone to flooding, it would be wise to make sure your sump pump is operating at maximum effectiveness. Do you have a sump pump? Do you have it tested annually by a plumbing professional in order to ensure it is and will run properly when you need it? If you don't have one and uncertain how it works - well, it's used to extract accumulated water and generally installed in the basement just under the ground in a hole referred to as the Sump Pit. When the sensor in the pit (often known as the "float") fills with water above a certain level, the sump pump automatically turns on and drains out the water. Homeowners often opt to install an emergency backup sump pump just in case the main sump pump runs out of power or breaks down for any reason. Emergency backup sump pumps are used not only in the event of power outages or when the main sump pump fails, but when the water load is too big for your main sump pump to handle as well. 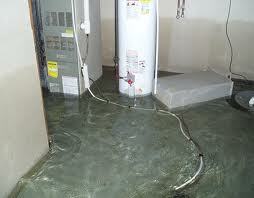 Emergency backup sump pumps run on batteries and can be real lifesavers during power outages. These specific types of emergency backup pumps are used only for backup purposes and come with rechargeable batteries which last as much as 6 to 7 hours. What's the big deal? Besides the damage a flooded basement can do to flooring, drywall, and framing in the basement, mechanical systems such as electrical panels, water heaters and heating systems are at risk in the event of a flood. A sump pump can literally save you thousands of dollars in repairs, not to mention the loss of personal property you may store in the basement. If structural damage isn't enough to convince you of the importance of a properly functioning sump pump and an emergency back-up system, be aware that excessive moisture may contribute to serious health problems. Moisture leads to mold, which can be extremely hazardous to your health. Additionally, extreme moisture can cause fungus to build up and destroy the wood in your home leading to the infestation of wood destroying insects such as termites. Often times, sump pumps and backup pumps are not something you think about until it's too late. Therefore, be proactive. If you are considering purchasing and installing a sump pump, we recommend you consult advice from a plumbing professional who can show you how a small investment today can literally save you hundreds of dollars down the road.